A big plate of fluffy pancakes is a delicious way to kick off your weekend. In fact, it’s a Saturday morning tradition in our house. With this easy, tasty pancake recipe, you can make it a healthy tradition, too! 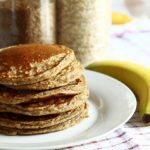 This low fat, healthy pancake recipe will keep you full and give you the nutrients and benefits of sprouted grains and oats! 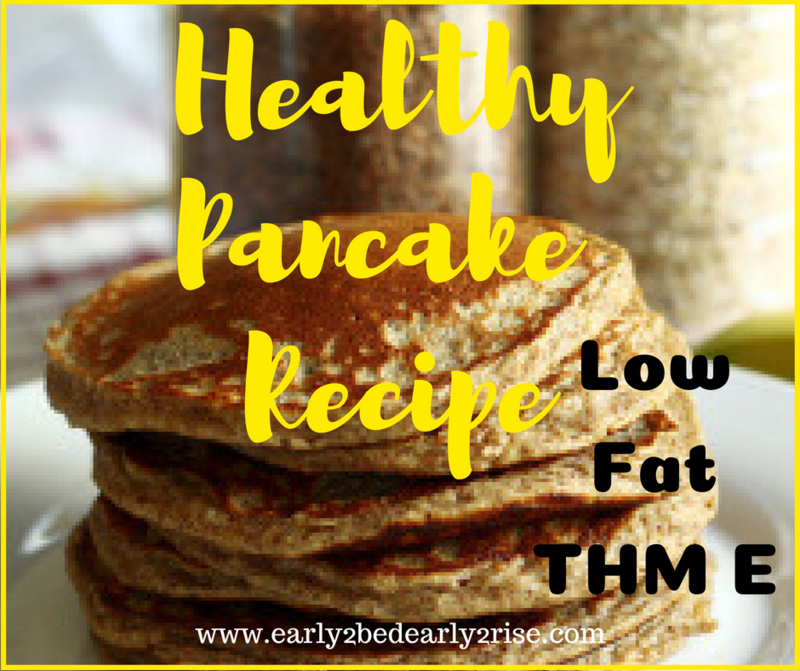 We have discovered that we love this healthy pancake recipe! 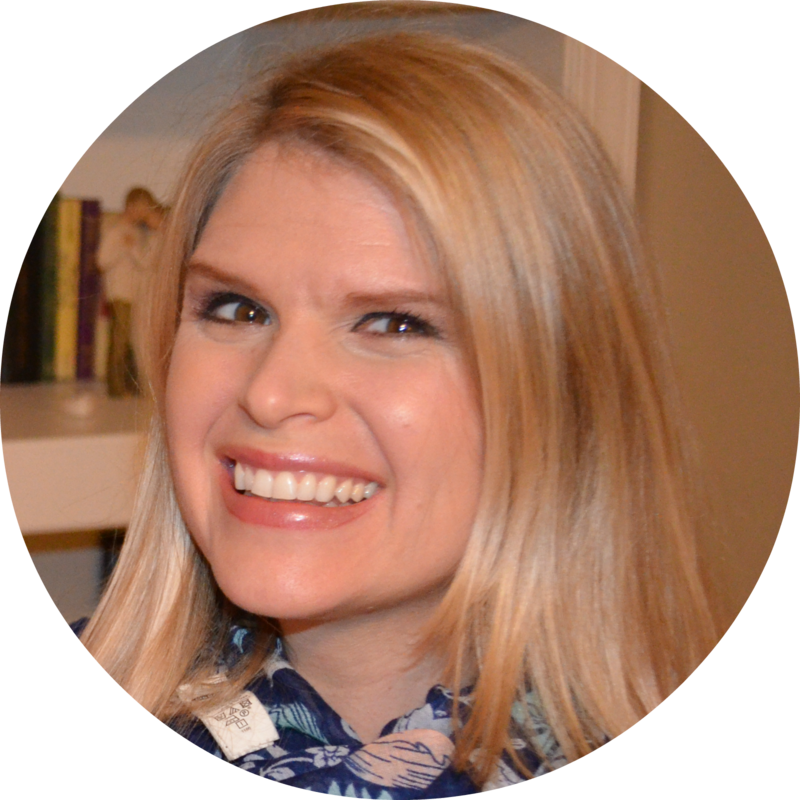 There are lots of easy ways to customize it to your family, so I’d love to hear how you make it work for you! Finding a healthy pancake recipe that my husband actually likes has been a personal quest of mine. And when I say quest, I truly mean a long and laborious journey! 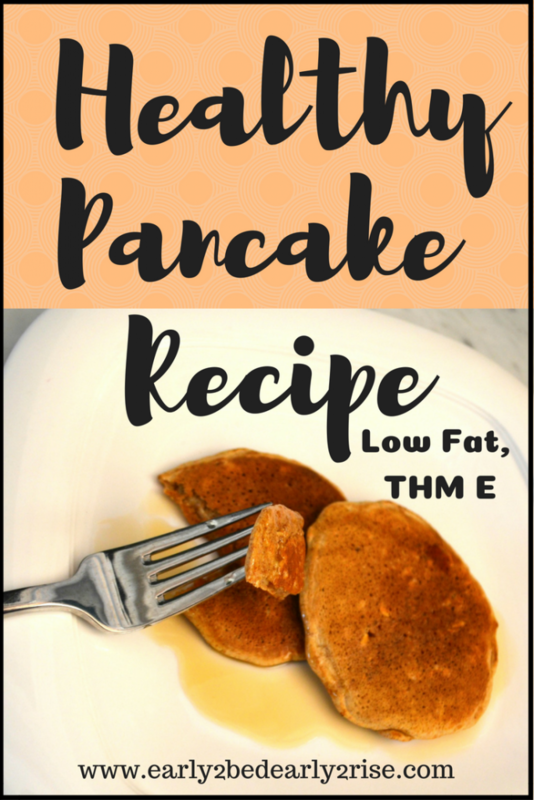 His absolute favorite pancakes are the ones from Cracker Barrel, so with those high standards in mind, it’s been hard to create something healthy that compares! I’ve tried so many pancake recipes! I’ve made low carb ones with almond flour. I tried coconut flour ones. I tried cinnamon swirl keto ones, and banana-based low fat ones. For a low-prep option, I even bought a Paleo pancake mix. For my Trim Healthy Mama friends, these are not actually on plan due to the cassava flour. I tried them just to see if my man would like them since they’re healthier than white flour ones. 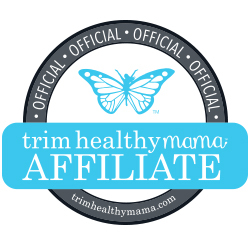 Click here to learn more about THM and how I lost 20 pounds in just 4 months while nursing! Then, I stumbled across an old notecard in my recipe box. It was like finding the Holy Grail of pancake recipes! Nervously, I adapted the ingredients and proportions to make it THM-friendly. I held my breath as he topped his healthy pancakes with butter and maple syrup and took the first bite. Okay, full disclosure… these do not taste like Cracker Barrel pancakes. I mean, they’re yummy and all, but they’re not quite the same as goopy white flour pancakes. They’re still healthy… and they kinda taste healthy. Honestly, I was a little surprised that my husband liked them. You can actually see the oats in them, and they lend almost a granola-like texture to the pancakes. My husband doesn’t care for oatmeal, but he really likes this. I like oatmeal, so I don’t mind it at all. You can grind the oats into flour before adding them to the recipe if you prefer. It’s super easy as all you have to do is whiz them around in a food processor for a few seconds. I’ve made this recipe both ways, and my oatmeal-hating husband prefers it with whole oats. Own this recipe, and make it into what works for your family! Sprouted flour is super duper good for you!! The process to create sprouted grains involves soaking the grain until it starts to sprout (lol, the name makes sense, right?). The really great thing is that the sprouting/growing process involves the release of enzymes and nutrients that are good for your health. These nutrients help to blunt the glycemic (blood sugar) response of the carbohydrates from the grains and can make them much easier to digest. It makes pancakes better for your blood sugar levels, you get more vitamins and minerals, and all that in a more digestible form! Looking for more sprouted grain recipes? Check out this Overnight Stuffed French Toast— it’s perfect for when you have company or just want to treat yourself to a delicious, easy breakfast! These pancakes don’t have a lot of protein on their own. You can top these pancakes with Greek yogurt and fruit. I like Oikos 000 Greek yogurt. It’s already sweetened with stevia and comes in some delicious flavors. You can also sweeten plain Greek yogurt with stevia and add lemon or vanilla extract. For growing kids, skinny husbands, or people at goal weight, you can use natural peanut butter and maple syrup. If you’re a THM, this is a delicious crossover that I love to enjoy when I’m pregnant or nursing. If you want the same flavors but need to keep it an E breakfast, you can use the Peanut Butter Junkie recipe and make your own Sugar Free Maple Syrup (both recipes can be found in this cookbook). Make a protein-packed beverage to go with breakfast. This can be coffee with collagen added to it, a smoothie with some whey protein, or a yummy kefir concoction (I’ve got some amazing kefir smoothies coming soon– keep an eye out this summer! 🙂 ). Got some leftover pancakes? Check out my Healthy McGriddle recipe! Need some ideas for more E meals on the THM plan? E meals are my jam (err, slim belly jelly!). Check out these Easiest E Meals Ever! Yummy, easy, healthy pancakes that the whole family will love! A great way to celebrate the weekend or pretend like it's the weekend without ruining your waistline! Spray griddle pan with coconut oil cooking spray. Heat pan over medium high heat until hot enough. It's ready for pancakes when you sprinkle water on the pan, and the water sizzles. Turn down heat slightly, then pour pancake batter onto griddle pan by rounded spoonfuls. When bubbles start to appear and then pop, flip pancakes. Cook thoroughly on both sides, then remove from heat. The recipe makes 3 servings. Usually, I get 12-13 pancakes out of it (mine are about 4 inches across). I eat 4 pancakes for my serving. Want to save this for later? Click on the image below to pin this recipe! I just made these. Was I supposed to let the batter sit? It was very runny. I am eating with peanut butter and honey (out of syrup). The pancakes are a bit salty, but tasty. Hi, Marcie! Oh no! Sorry that it was runny and that it was a bit salty! The batter usually thickens up a bit for me while the griddle is preheating. If that’s not enough, you can add extra sprouted whole wheat flour until you reach the desired consistency (I usually do 1-2 Tbl. as needed). Sometimes, if my kiddos interrupt the cooking a bit, I have to add a little water to thin the batter by the last round of pancakes. 🙂 Sorry it was salty. Please feel free to decrease the amount of salt or baking soda. Hope that helps next time! Honey and peanut butter sounds delish on top!